Your final drive motor has been giving you problems, and you’ve decided to take it apart. Once you get to the bearings, you need to clean them up before you can tell whether to replace them. 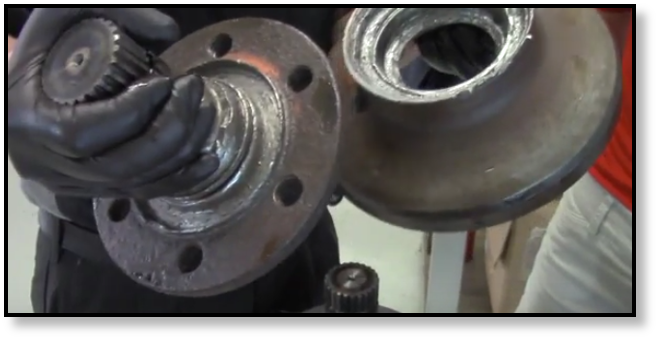 In this Shop Talk Blog post, we are going to discuss how to clean your bearings without damaging them. We have more blog posts on this subject that you might find helpful! Bearings are another one of the vital components that make up your final drive motor. When they experience a catastrophic failure, they can quickly total your final drive motor. That’s why it’s important to inspect your bearings when repairing your final drive motor. Bearings are often the starting point for other types of failure, and it's important to know if you need to replace them. The first step to closely inspecting your bearings is cleaning them. First, let’s talk about removing the bearings. 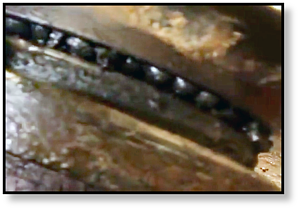 If the bearings aren’t removed with care, they can be damaged and rendered unusable. Use the tools and procedure outlined in your service manual. It can be tempting to use a shortcut such as shrinking the outer races with a weld bead or using a flame cutter on the inner races. These shortcuts can result in high temperatures that can damage housings or shafts, especially those that have been heat treated. To accurately evaluate the condition of your bearings, you need to clean them. If you want to be able to use them again, you need to clean them carefully. Use petroleum solvents that are intended for cleaning, and be careful with the fumes and skin contact. To keep from contaminating your bearings, only wash them in a large, clean container. Try to keep them from resting on the bottom where debris is likely to settle. You may need to let them soak overnight. Use a brush with bristles that won’t come loose for further cleaning. Once you feel they are clean, rinse them off in another container of fresh cleaning solvent. Then dip the bearings in oil. Do not spin your bearing dry using compressed air. Doing so can damage the surfaces of the bearing that come into contact with each other. This damage occurs because there isn’t enough lubricant to protect them. In other words, you can ruin an otherwise good set of bearings. What you want to do is hold the inner and outer races together so that it won’t turn and then use compressed air to dry it. Bearings are vital to the proper function of your final drive motor, and they can be expensive. It makes sense to inspect them carefully when you take your final drive apart. To inspect them, though, they need to be clean. 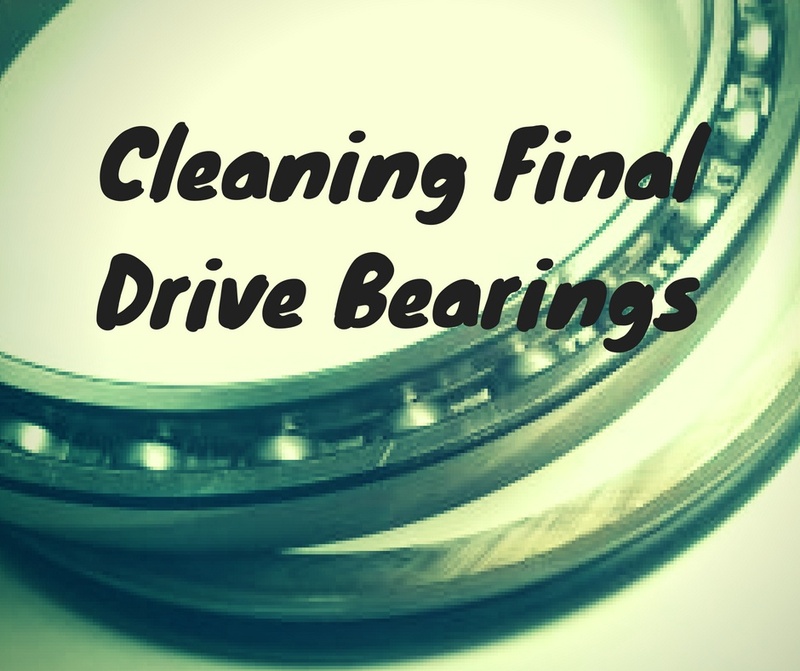 Keep the tips from this post in mind, and always check your service manual for instructions on the proper removal and cleaning of your final drive bearings. Remember that if you damage them during removal or cleaning, they won't be any good!